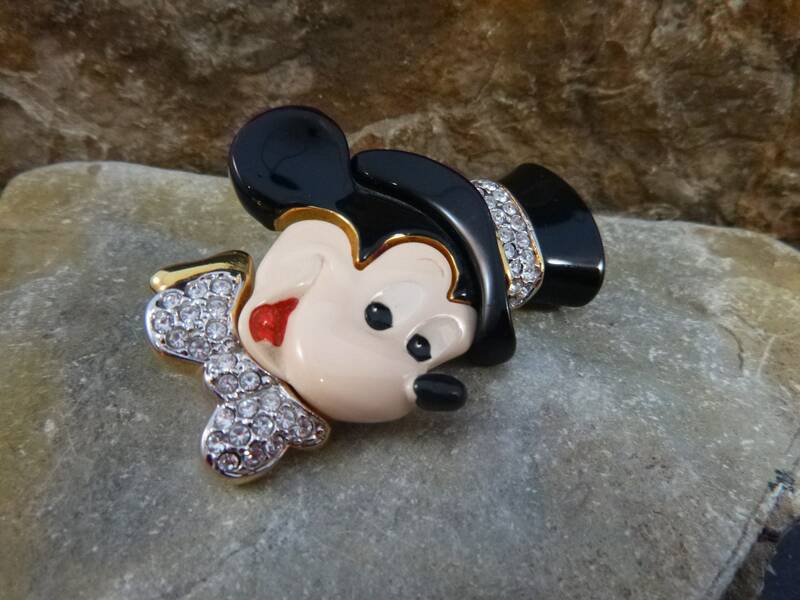 This very cute Mickey pin is signed “© Disney” on the back in a rectangle. 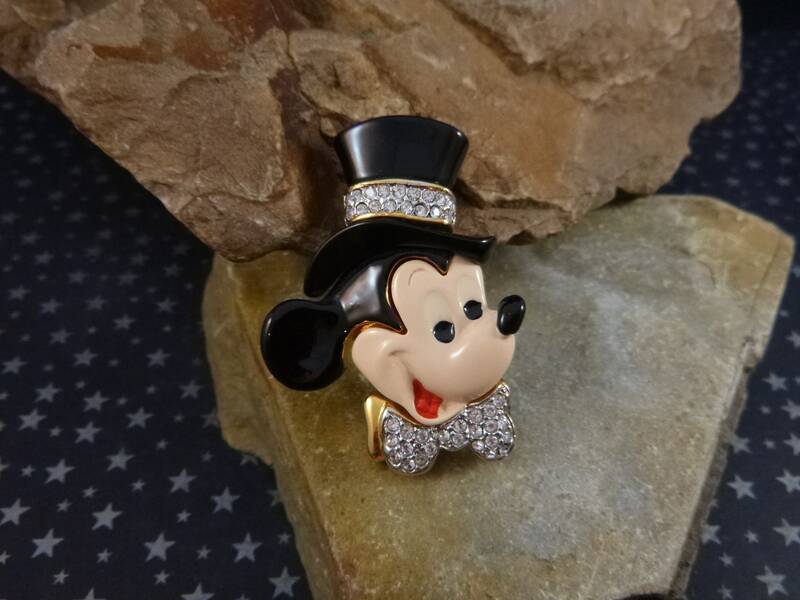 He seems to be all decked out for a special event – from wedding to New Year’s night – he’s ready to go. 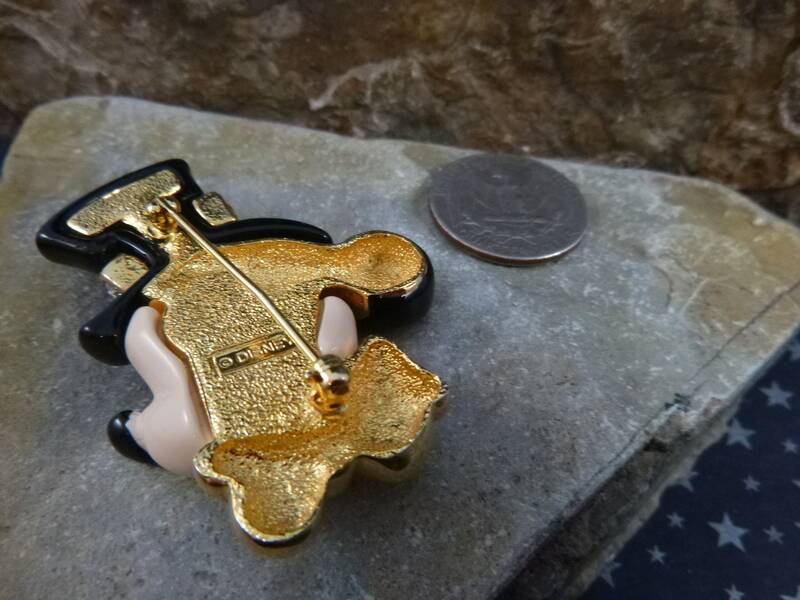 The pin is on the larger size, measuring 2” long and 1.5” wide. 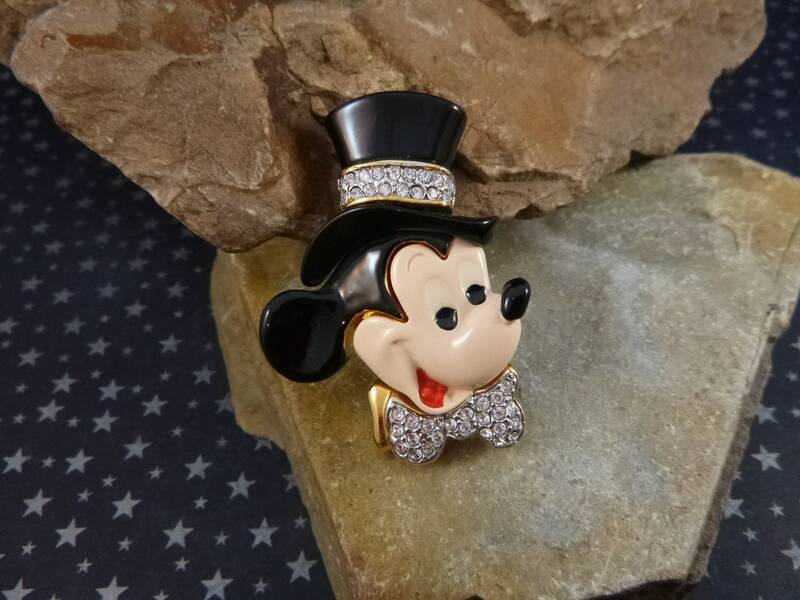 Made of a gold tone metal base with resin and rhinestones, it’s fun, whimsical, and sure to delight any Mickey Mouse enthusiast. Overall, the brooch is in very good condition, with a slight bend in the pin, which still holds well. The rhinestones are bright and intact and his colors bright. 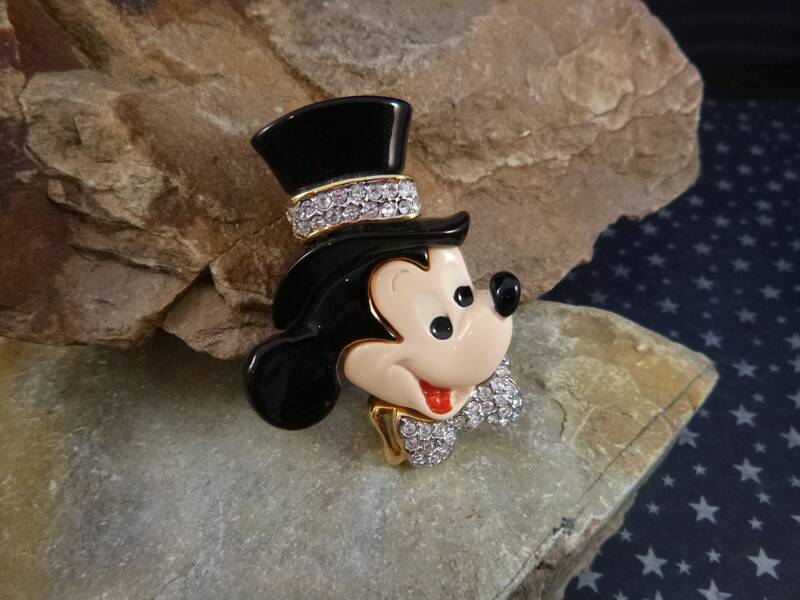 The pictures offer greater perspective on the whimsical nature and Disney fun of this top hat wearing vintage Mickey.